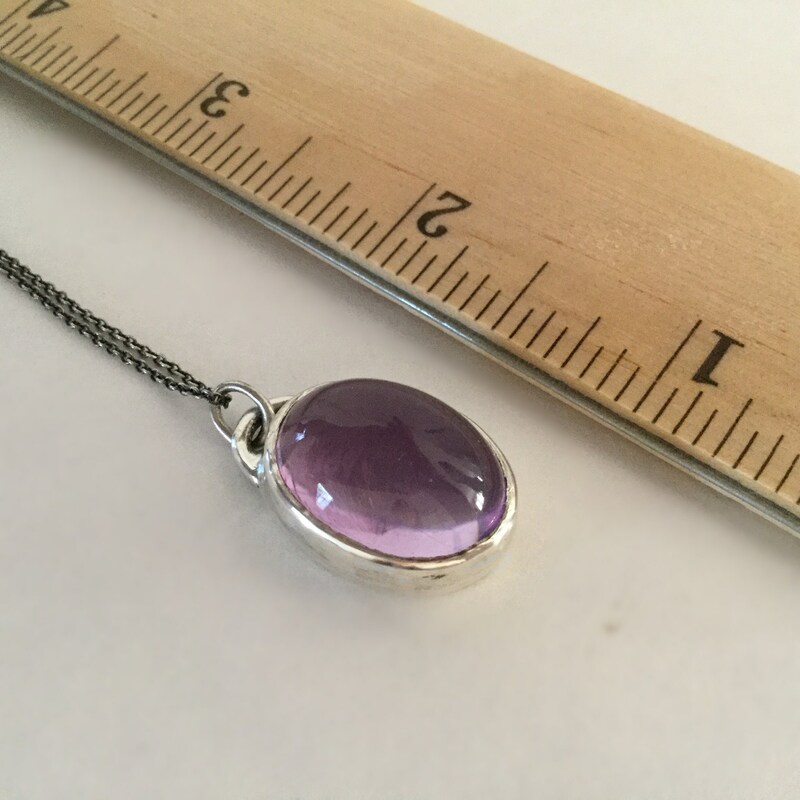 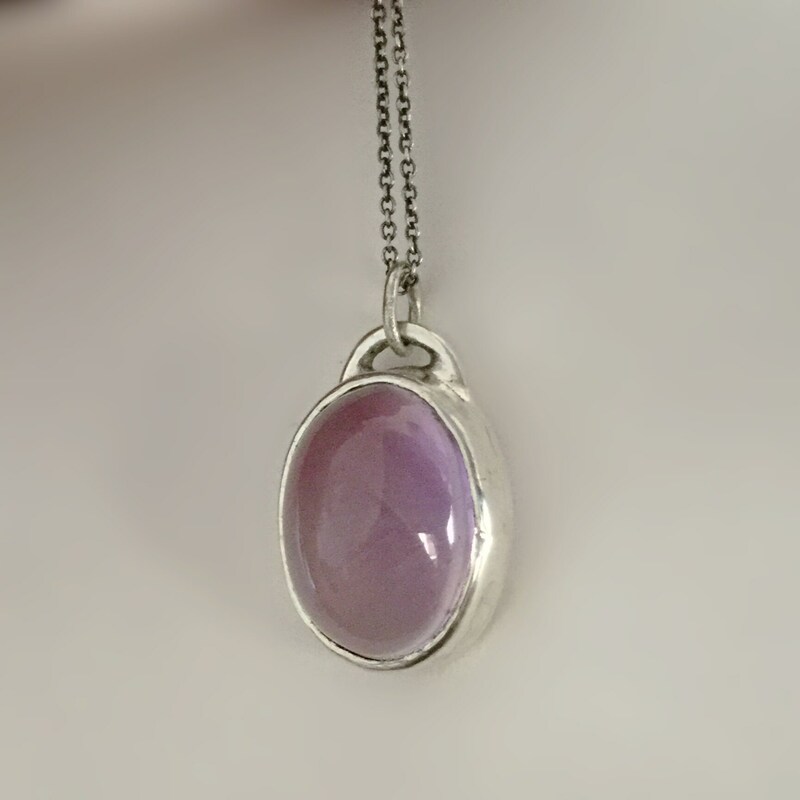 Beautiful Lavender Amethyst in handcrafted Sterling silver open back bezel on skinny Sterling silver chain. 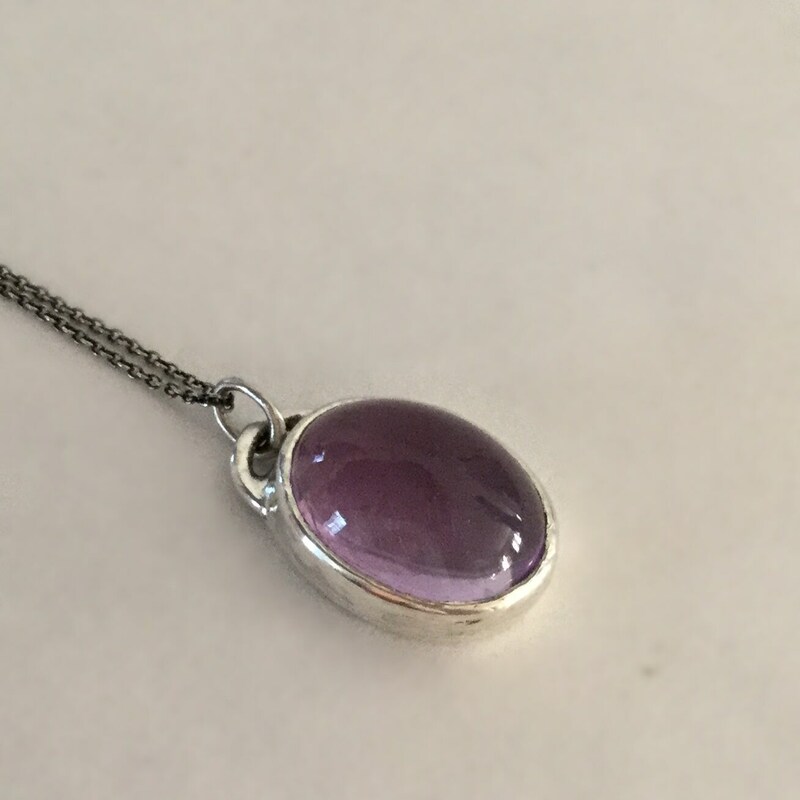 Closes with a Sterling silver Spring ring clasp. 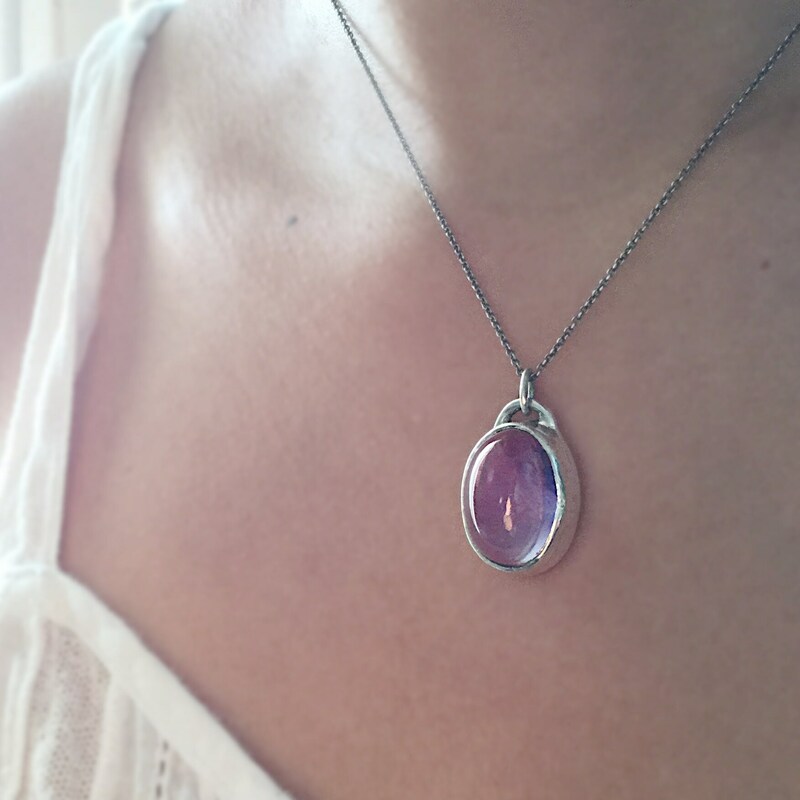 Great just like this or layered with other pieces.